If you are like most people, you love Instagram and could get lost for hours down the visual rabbit hole. We are totally guilty too of spending way too many hours geeking over thousands of beautiful images from all over the world. As an entrepreneur and small business owner, using Instagram can be tricky especially if you are a multi-passionate creative who has multiple products and services to offer on a platform that does not hyperlink urls within posts and only allows one link within the bio section but there is this great resource that can forever change how you market on Instagram....Linktree! If you have never heard of Linktree, we bet you will be just as excited as we were the first time we discovered it and within minutes, Instagram did not feel so limiting in how we could share a blog article in one post and then how we could share our Squarespace web design service in another. Linktree is a free tool for optimising your Instagram traffic, whether you are a blogger, an artist or run a brick and mortar business. You'll get one bio link to house all the content you're driving followers to, allowing your content to live longer in the feed. Sounds pretty darn cool, doesn't it? So let's dive in so you can set up your very own Linktree and uplevel your Instagram marketing game! Creating an account is easy as it's linked to your Instagram account, simply go to Linktree and follow the sign-up steps. Once you are signed in, you will be able to create links to showcase the different products and services that you offer. It's, of course, okay to showcase your products and services but it's also equally important to showcase content that offers free value for your audience. 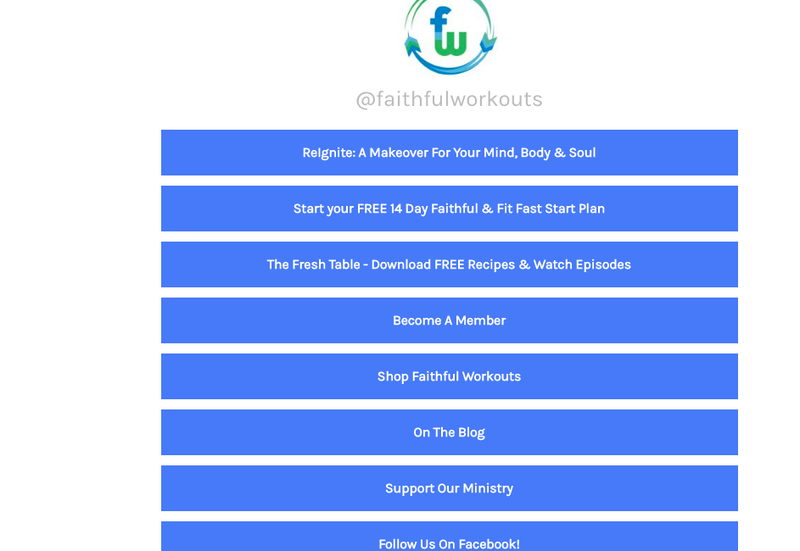 This landing page is not for hard selling so a mixture of paid services and/or products with free content like your blog posts, free opt-in etc. is crucial if you want it to convert well. As you add your links, Linktree will show you a live preview of what your landing page will look like so you can ensure the formatting looks right. When you have all of your links set up for your various offers and redirects, you can create a design that is aligned with your brand. 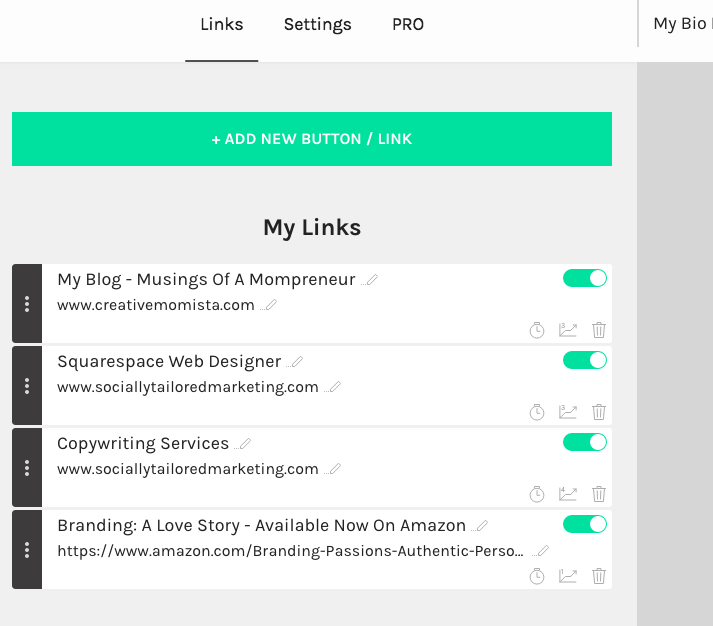 The free version of Linktree gives several different options. If you want more design options, like using very specific hex codes, you will need to upgrade to the Pro version ($6/month). 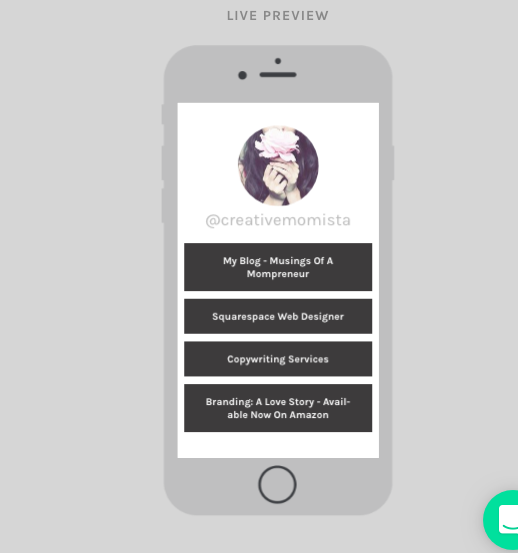 Once you have all of your links created, copy your Linktree url and add it to your Instagram profile. The link can be found in the upper right hand corner of your Linktree home page. Now you are able to simply say "Link in bio" when marketing on Instagram. When someone clicks on the link that is in your bio, they will be routed to the Linktree landing page and from there they can be funneled to your blog, your opt-in, your store, etc. Linktree has definitely made Instagram more fun and easier to market not only for our personal brands but also for our clients as well. 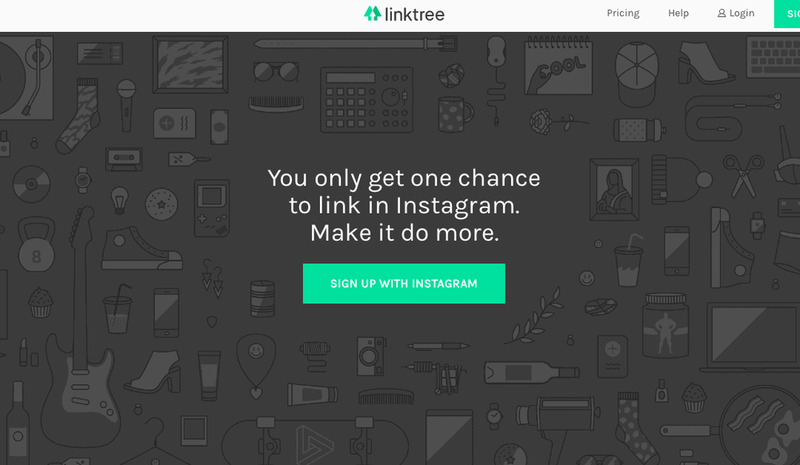 We no doubt think Linktree will forever change how your market on Instagram and when done right, will increase your traffic, email marketing and sales. Have fun with this new tool, we know you are going to love it!